Now I’m not going to start reciting bible verses by heart or quoting scripture but June to me is all about the Second Coming. Or in this case the 2nd run. That’s right, a second run of walleye into the Detroit River. Shortly after the silver invasion heads back out into Lake Erie a smaller run of walleye leave Lake Erie and head back upstream. Many old timers used to tell me about this and it never really made sense to me but since I started keeping more accurate records and paying closer attention to the fish being caught I started to notice a few trends. The first thing I noticed was that when June and July rolled around I started catching smaller fish, lots of eaters in the 15 to 18 inch range and more sub-legal fish. I never thought about it before but I started to wonder why I rarely catch any sub-legal fish during the Spring run? The other thing I noticed was that some of the fish I would catch would be really dark in color (resident fish) and others would be very light in color (migrants) , similar to the light tan colored fish caught in Lake Erie. Inquiring minds wanted to know so I asked our local fisheries biologist what was up. He told me that the Detroit River experiences a smaller run of walleye mid summer and it lasts for several months. Mainly smaller immature fish that move in to chase the smaller baitfish, in this case minnows, goby’s and eventually smallmouth fry. The bigger mature fish head east (Ohio) and north (Canada) to deeper and cooler waters. Now I don’t know what they are chasing in Ohio but I do know that in Canada it is smelt. As for the smaller versions they stay in the river and load up on shiners. Now there are local fish that stick around through Silver time but the lower river fills up with “Eater” walleye, especially on the Amherstburg side. I can’t wait for the Second Coming. This is when I really go into attack mode and stock up the freezer. I will catch more fish in June or July than I will in March, April and May combined. That first couple of weeks after the Silvers leave is a feeding frenzy. 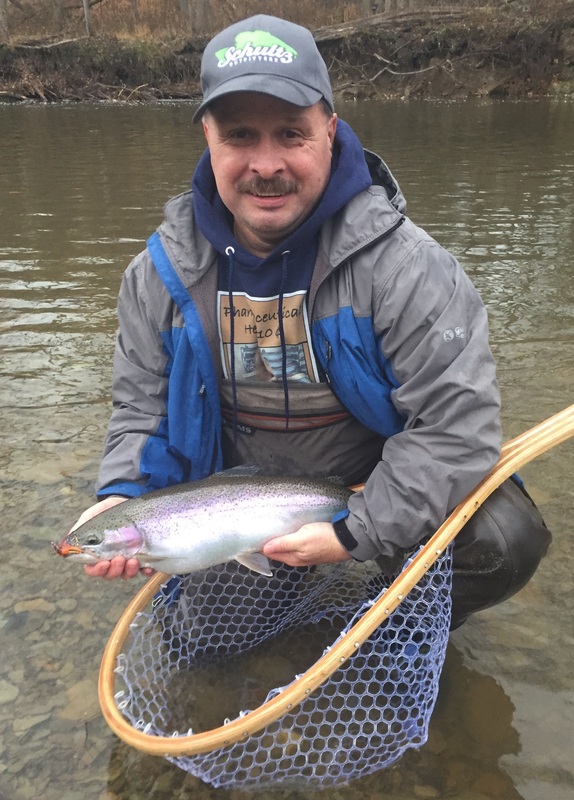 Fishing is easy and can be fast and furious when conditions cooperate. Give me a little stain to the water and early morning fishing can be a riot. This is when I break out the spoons and I give the walleye a steady diet of them. Walleye are gorging themselves on shiners and I am trying to oblige them. On numerous occasions I have found bunches of dead minnows in my cooler that the walleye have caught coughed up. Upstream fishermen will be running spinners and Rabble Rousers but in my area it’s spoons, spoons and more spoons. I’ll even run them at night, usually on my kicker, and still catch fish. The worst part about this is trying to get to that point. It’s not like I can get a message from the Fish Gods declaring that the Second Coming has arrived. I have to go out there and find out the hard way if the Barbarian Silver Horde has left. Sometimes I get lucky, most times I don’t. The reward though can make it very worthwhile. Just remember in the daylight hours think small. After you find a few dead minnows in your cooler you’ll know what I mean. Spike Spoons and size #5 and #7 Rapala’s. Oh, one other advantage to this time of year. No more long lines at the ramps or sharing a spot with 100 other boats. All those once a year guys have put their boat away for the year or have headed out to Lake Erie. Most mornings or evenings it’s half a dozen boats at most and I pretty much know all of them. Just the die hard River Rats that know all about the Second Coming. For several years now I have been participating in a fishing survey for the Michigan and Ontario DNR. 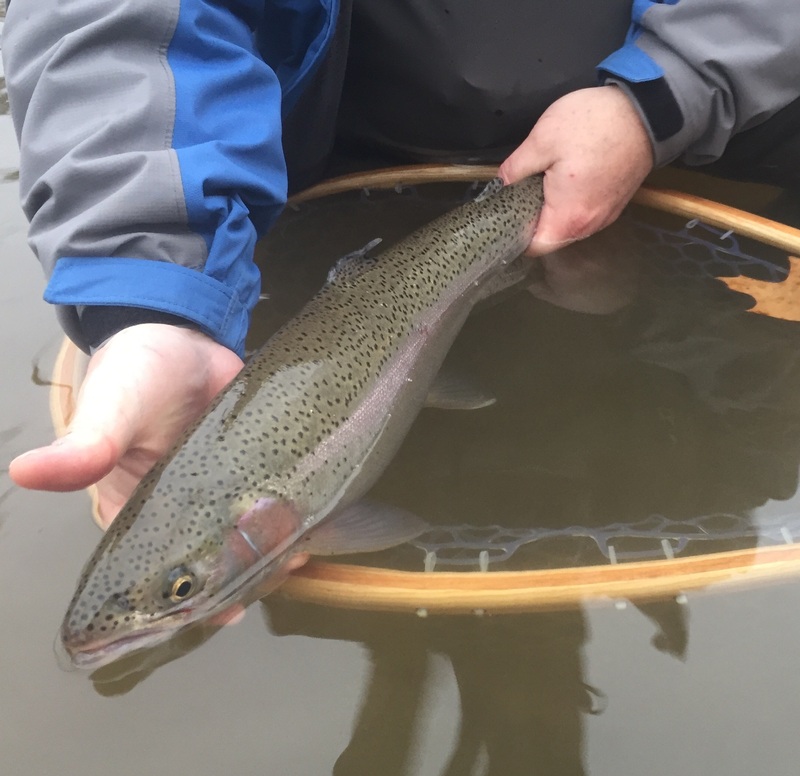 It is designed to give fisheries biologists an idea of the fishing success of anglers along with growth rates and locations where fish are caught. The area is basically the Huron Erie corridor and it is broken down into specific grids. 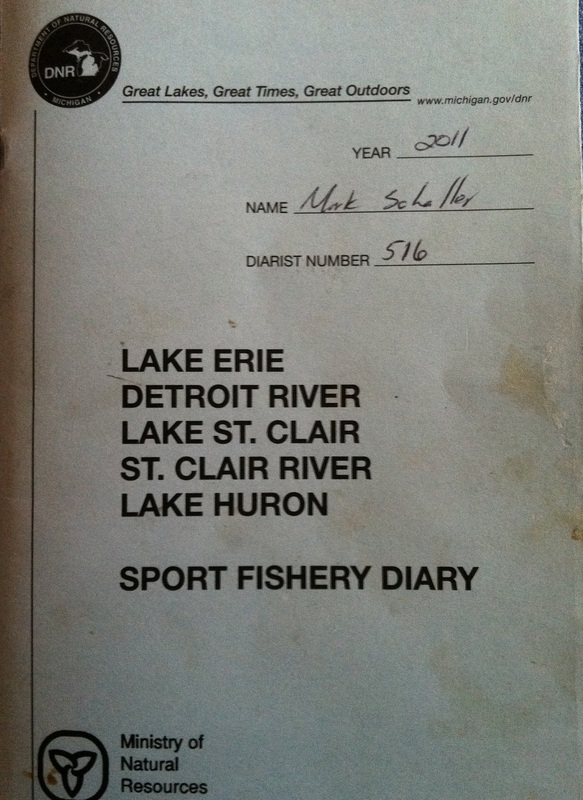 I have a book where I have to keep track of how long I fished, where, what I caught, if I kept or released the fish and if I kept the fish how long it is and what it weighed. It can be a bit of a hassle at times but it has provided me with some valuable information. At the end of every fishing season the Michigan DNR sends me an envelope so that I can mail the book in for evaluation. Once they are done with it they mail it back to me along with a new one for the following season. Along with the new book I receive a stats sheet that lists all the data the DNR pulled from my work. Normally I just kind of breeze through it but this year I took the time to actually read all the data. One thing I have to do is make a better effort to make sure I write my “K” for kept and “R” for released a little more legibly. I know I didn’t release 27 walleye last year. One of the data metric’s the DNR records is fish caught per rod angler hour. This is a number I really never paid any attention to and never really understood, until last week. At the last DWF meeting the guest speaker was Ohio Fisheries Biologist Travis Hartman. He spoke about the research that the Ohio DNR has been doing over the years and one of the topics he brought up was fish per angler rod hour. He said that in the hay day of the 80’s the number was .45 fish per hour and recently it is .5 per hour. He went on to say that this number relates to some fantastic fishing. That helped put my number into more perspective for me. My number for last year was .992 fish per hour. This tells me a few things, the first being that I am doing a lot better than I thought. I always figured I had a below average catch rate compared to all the reports I hear on Lake Erie. I hear a lot of people catching limits but now I have to wonder how long it takes them to do that? I know of one person who is always catching limits but he will stay out all day to do it. If that is what you enjoy more power to you. I don’t think my body could handle being out in a boat all day. The second thing this tells me is something I have always known. 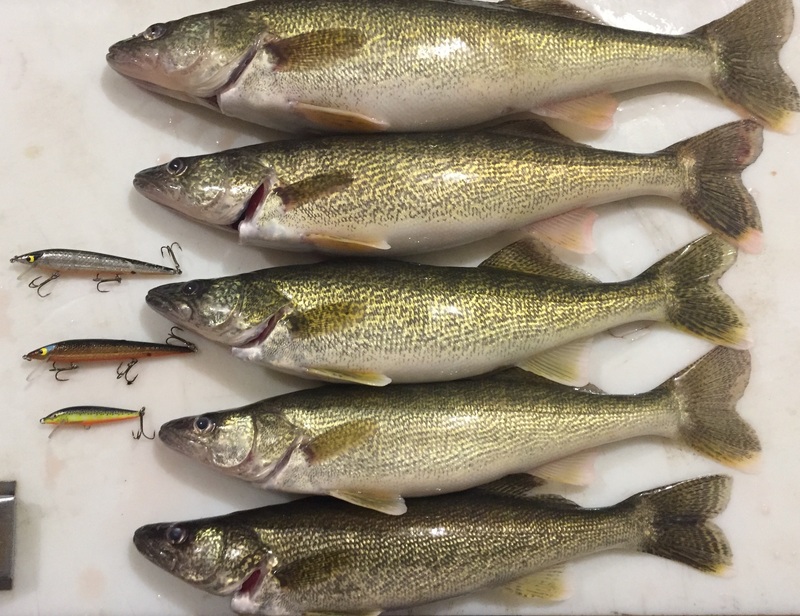 There are still plenty of walleye to catch in the river long after the spring run. A little work and pre-planning can help you catch fish in the same locations they are caught in the spring. The tactics may change but the results can still be the same. I’ll never catch the monsters some of the Erie fishermen catch but I get my fair share of eaters. I guess it all comes down to what you want to accomplish. Hogs or piglets? One other result that I checked out this year was the average size and weight of the fish I caught. For 2011 the average length and weight of the walleye I caught was 19.5 inches and 2.5 pounds. These were mostly male fish there were part of the 2003 hatch. It amazes me that 8 years later most of the fish being caught are still from that year class. Some of the fish were from other year classes but the majority are still part of the 2003 class. Good thing we had that phenomenal year otherwise the fishery could be in rough shape. The Smallmouth fishermen should be happy as well. I caught a lot of fish ranging from 3 inches long to 20+. Looks like those guys are going to have some great fishing for years to come. Can’t say the same for the Muskie fishermen. Only caught 1 last year, then again I have been avoiding the areas where I have caught them before. The books do make for some interesting reading during the long winter months. I’ll take them out and go over them every once and a while to reflect on seasons past. I’ll think about those days, who I was with, what we caught and generally anything that made the trip memorable. After all, that is what it is all about.